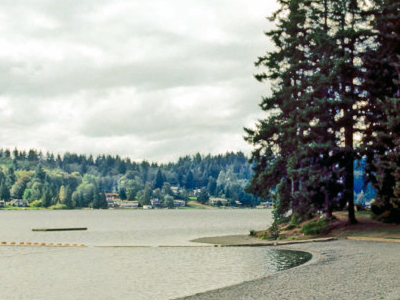 Wenberg State Park, is a 46 acres (18.6 ha) park located on the shores of Lake Goodwin in the community of Lake Goodwin, Washington.The park is maintained by Snohomish County Parks and Recreation. It was a Washington state park until July 16, 2009, when the state transferred the park to Snohomish County in an effort to keep it open while addressing the state budget crisis.The park has a boat launch and swimming area that can be accessed using Washington State Route 531. Wenberg is a popular getaway spot for nearby urban dwellers and a pleasant stay-over spot for travelers. Here's the our members favorite photos of "State Parks in Washington". Upload your photo of Wenberg State Park!